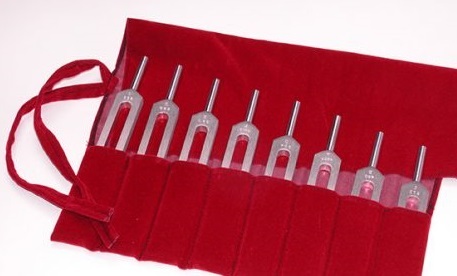 Enjoy the wonderful and healing sounds of this 8pc Pythagorean Tuning Fork set. Each tuning fork comes individually wrapped to insure that it is new to you. These tuning forks are based on natural ratios that will help you to re-proportion your body as you enjoy an altered state of consciouness. Relax, unwind, and be at peace as your repattern your mind, body and spirit. Cost of set is $149.99 plus $13.99 postage in United States. Call for postage costs to your country. Please Note--If product is to be shipped outside of the United States please include additional shipping charges. Drop me an email at FrancineMilford@cs.com for costs.